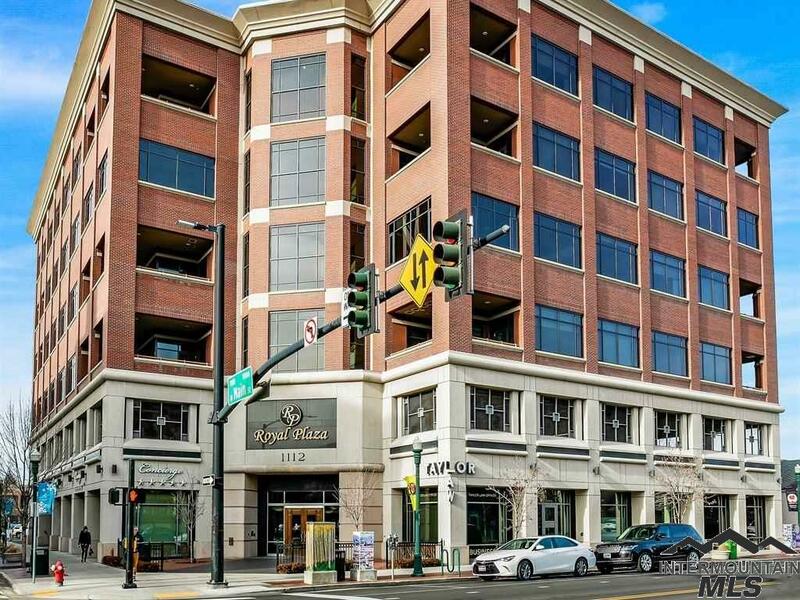 All Royal Plaza homes currently listed for sale in Boise as of 04/21/2019 are shown below. You can change the search criteria at any time by pressing the 'Change Search' button below. "Capture downtown living in this unique 2 br 2 ba condo feat. an open concept design w/ stunning panoramic views from every window, 10` ceilings, marble flooring, gourmet kitchen w/ granite counters & stainless appliances & in-unit laundry. Master includes large windows w/ motorized blackout shades, walk-in closet & en-suite. Resort-inspired amenities include an upscale lobby, private fitness area, secure storage & rooftop terrace w/ impressive mountain & city views, great for entertaining & outd"